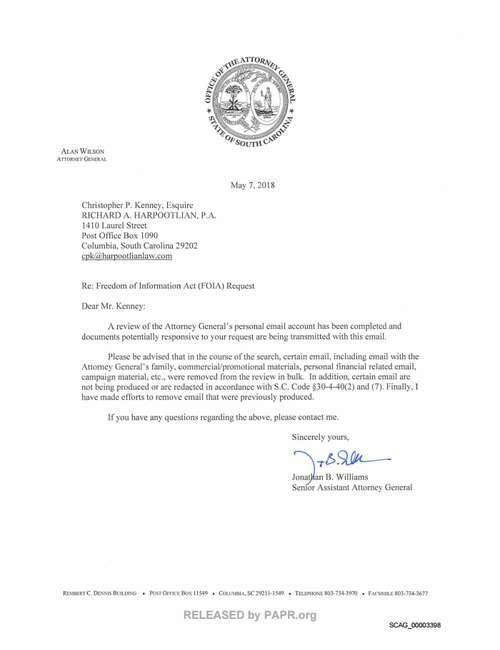 Public record laws require the retention of public records. 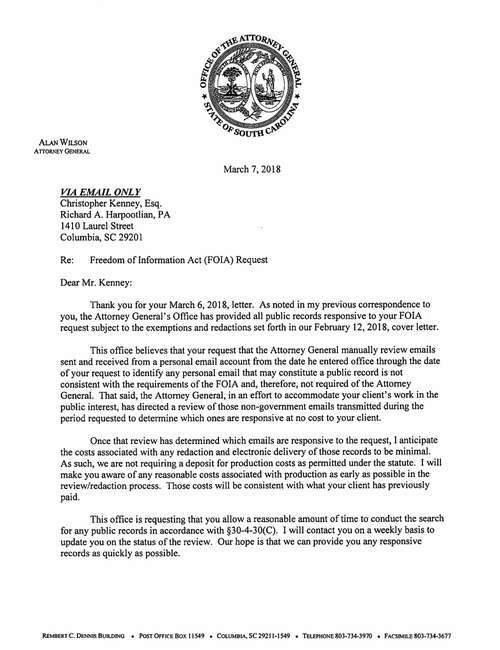 The use of private, i.e., non-governmental, email accounts to do public business threatens the public's right of access to public records by storing communications about government business on private email servers. 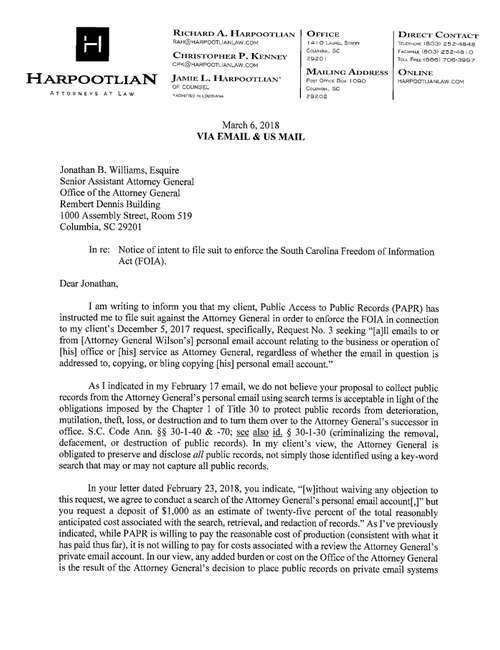 An Aug. 5, 2017, article published in The Post and Courier reported on at least one email between South Carolina Attorney General Alan Wilson and his staff using a private email address. 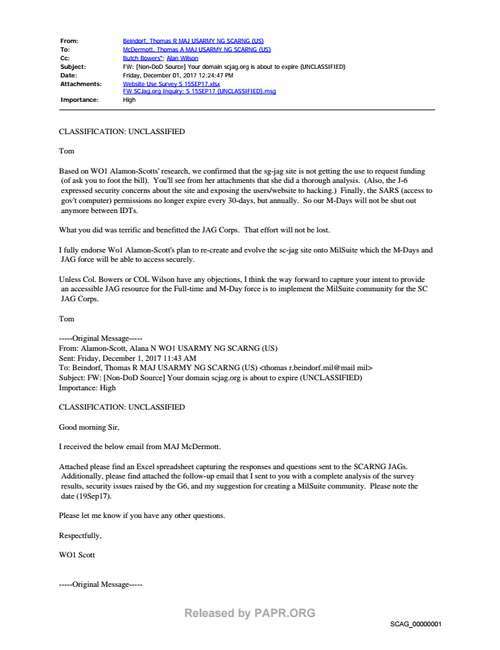 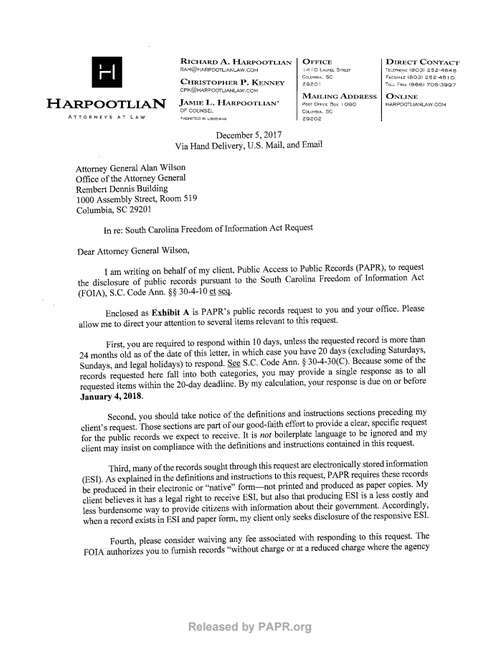 PAPR has requested all public records maintained on Attorney General Wilson's private email account.